Below you will find a Traditional Catholic Examination of Conscience. It is a good practice to get in the habit of looking over this every night. 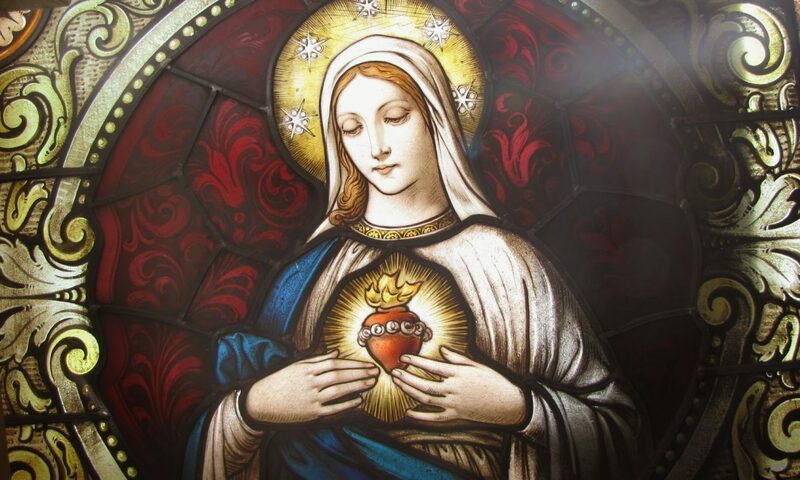 Before you begin, you should always ask your Guardian Angel, Mary, your Patron Saint, and the Holy Spirit to guide you as we are always so blind to our faults and how we offend Jesus. Have you taken the name of God in vain? Laughed at the profane use of the name of God or irreverent speech by others? Given bad example to children by such speech in their presence, or by neglecting to correct a child when irreverent or profane language was used? Spoken disrespectfully of the saints or holy things? Allowed others in your household to do the same? Sworn falsely, that is, called upon God to witness the truth of what you were saying, when you were in reality telling a lie? Sworn rashly, or in slight and trivial matters? Have you cursed persons, animals, or things? Have you blasphemed, that is, used insulting language expressing contempt for God, His saints or sacred things? Have you caused others to do so? Have you criticized God’s mercy or justice, or murmured against His providence? Have you assisted at Mass on Sundays and Holy days? Have you been late for Mass? Behaved properly in Church? Have you performed or commanded unnecessary servile work, bought or sold without necessity, or in any other way – gambling, drinking – profaned these holy days? Have you shown due honor, love, gratitude and obedience to your parents? Have you shown due honor and obedience to your pastors and other lawful superiors? Have you asked their pardon when you hurt them? Have you been disrespectful to your parents by speaking angrily to them, saying unkind, harsh words to them and about them, or by being ashamed of them? If you are a parent, have you shown this lack of honor, love and gratitude to your parents in the presence of your children? Have you criticized them and rejected some of their orders? Have you corrected and punished your children for serious transgressions, or forbidden them to enter serious occasions of sin? Have you cooperated with teachers in the education of your children? Have you refused to send your children to Catholic school when you could have done so and had no permission from bishop or pastor to do otherwise? If there is no Catholic school in your vicinity, have you sent your children to catechism faithfully? Have you taken an interest in their catechism lessons? Have you cooperated with the Pastor and the Sisters in the projects sponsored by them to stimulate the children’s interest in the faith? Have you trained and corrected your children in regard to chastity? Have you been disrespectful to aged persons? Have you had proper care for children and those dependent on you – both in physical and religious matters? Above all, have you given them a good example? If you are a child, have you refused to speak to your father or mother? Have you resented them? Have you disobeyed your parents when they gave you orders to avoid bad companions or dangerous occasions to sin? Have you obeyed the rules they made concerning persons to be brought into the house, the hours to be kept at night, or the conduct within the home? When earning money, while living at home or while still subject to your parents, have you refused them part of your earnings when they needed it or demanded it? As a citizen, have you obeyed laws of the city and country made for the safety and well-being of all? Have you procured, desired, or hastened the death of any one? Have you been guilty of anger, hatred, quarreling, revenge? Used provoking language, insulting words, ridicule? Refused to speak to others? Caused enmities? Given scandal? Did you eat or drink too much? Have you been unkind, irritable, impatient? Have you provoked others to anger offended them, hurt them by anger or impatience? Have you entertained thoughts of jealousy, revenge, aversion, resentment or contempt of others? Have you kept company with those who drink to excess? Have you encouraged them to drink? Have you jested about their drunkenness? Have you neglected your health or endangered your life? Have you neglected to take care of the health of your children or those subject to you? Have you endangered the life of others by driving an automobile while intoxicated or caused real danger to the safety of others in any other way? 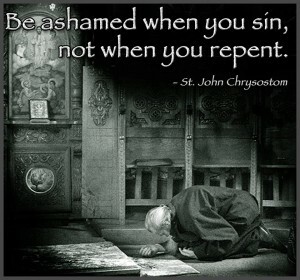 Have you been guilty of impure or immodest thoughts, words or actions – alone or with others? Have you spoken words or phrases of double meaning? Have you told suggestive stories? Have you encouraged others to do so? Have you taught others to do this? Have you avoided occasions of sin in this matter? Have you guarded your sight, or allowed your eyes to wander in curiosity over obviously dangerous objects? Have you put yourself in an occasion of sin by reading bad books, looking at indecent pictures, keeping bad company, attending immoral performances, watching indecent movies or television programs, singing lewd songs, and the like? Have you distributed obscene books or magazines? Have you informed others of places of distribution? Have you encouraged others to read them? Have you desired to do impure things? Have you been an occasion of sin to others, by your conversation, dress, appearance, or actions? Have you touched yourself impurely? If you are married, have you committed sins of impurity with another married or single person? Taken part in prolonged kisses and embraces with others beside your partner in marriage? Have you used contraceptive means in performing marriage duties? Have you, without good reason, refused or neglected to render the marriage obligation when seriously asked? These commandments forbid: robbery and burglary, graft, bribes, stealing and damaging the property of others. These commandments forbid not merely stealing but every type of dishonest dealing, such as, cheating, unjust keeping of what belongs to others, unjust damage to property of others, graft on the part of public officials. These commandments are also violated by merchants who use false weights, measures, who make exorbitant profits or lie about the essential qualities of their goods; by those who obtain money from others by persuading them to make unsound investments with the assurance of gain; by those who knowingly pass counterfeit money, or take undue advantage of the ignorance or necessity of another; by employers who defraud laborers; by employees who waste time during working hours, perform careless work or neglect to take reasonable care of the property of their employers; by employers who charge customers exorbitant prices; by those who do not return what they borrowed; by running up a charge account and not paying it; not returning found articles; selling articles with hidden defects for the usual price; not paying one’s bills; by depriving one’s family of necessities by gambling, drinking or foolish spending. II. Have you kept the fast? Eaten meat on prohibited days? Encouraged others to violate the precepts of the Church? Scandalized others by your failure to obey the Church in this matter? Have you nibbled between meals? IV. Are you a member of any forbidden society (Masons, Etc,)? Are you a Communist? Have you grieved, abused, struck your wife, or accused her wrongfully? Have you neglected to provide for your family? Given your children bad example? Failed to correct their faults? Have you interfered with their religious vocation? I also wrote another post about making a good nightly examination of conscience you can read here. As I said in the other post about the examination of your conscience, you should end your reflection by saying the Confiteor.